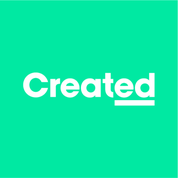 Created is raising £600,000 investment on Crowdcube. Capital At Risk. Created is an academy for people looking to enter the creative industries, which is the fastest growing sector in the UK where demand for talent far outstrips supply. Created partners with leading companies to deliver courses that develop the talent the industry needs. Created has been set up to bridge the gap between education and employment in the creative industries. Traditional education lags behind the needs of industry and does not provide the talent this growth industry requires. Created offers career accelerator courses for people looking to enter the creative industries. Blending in-person and online learning to fit around peoples lives, delivered over 9-months, part-time at a cost of £4,995, our first course in Motion Design launches in March 2019 with other courses to follow. The creative industries are the UK’s fastest growing sector valued at over £92bn and, in 2016, employed over 3 million people. NESTA estimates an additional 900,000 jobs between 2013-2030. Globally the creative economy is valued at $1.57 trillion and employs 30 million people. We closed our first round of £345k in December 2017 and a second of £265k in November 2018 from a mix of angels and corporate investors. The company has launched and is actively recruiting for the first course which launches in March 2019. Industry partnerships include Framestore, BBC Creative, Mainframe, VentureThree, and Electric Theatre Collective. We are now seeking funds to develop further courses, bolster the team and aid the recruitment of students. To see the rest of the Created pitch, join now. Join to read more information about the Created team, documents, and what other investors are saying about the pitch.